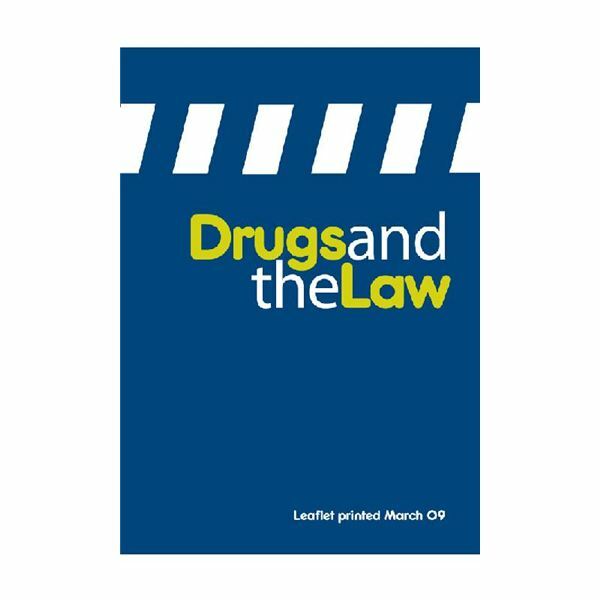 This app offers detailed information on the multiple legal aspects of drugs. For example, it covers the classification of illegal drugs, and the penalties for the possession, supply and use of drugs on personal premises. Cautions are provided for individuals over and under 18 years old, emphasizing that drug taking is not a carefree, victimless crime. Other information available through this app includes driving, drug testing and detection periods, plus growing and producing drugs. This app provides lawyers with on-the-go legal information. This app may not have any dazzling features, but it works well-enough as a reference source. As a tool, this app is most useful for people dealing with legal matters on a regular basis. At this point, it has limited research capabilities. Most of the research focuses on Federal rules such as Appellate Procedure, Civil Procedure, Criminal Procedure, and Evidence. 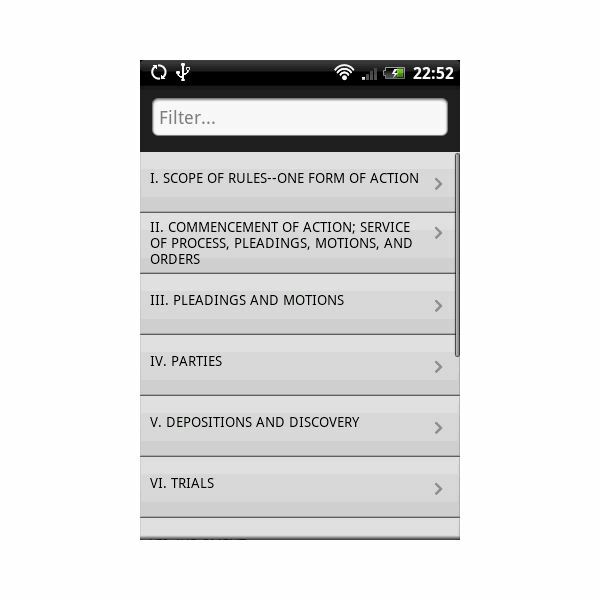 Unlike flipping through heavy reference books at the library, a legal reference app for Android should make searching for legal terms quick and easy. The basic app is free but add-ons range from $2.99 to $3.99. This app comes recommended by the American Bar Association Journal. It has 8,000 legal terms, synonyms, definitions, and parts of speech. This fourth edition contains many entries, including terms unique to today's legal profession as well as the traditional standard body of legal terms. This new edition is a good Android app for paralegals, attorneys, law students, journalists, and anyone wishing to get information about the law. It is in MSDict Dictionary Format. Here are some of the specific features. It offers a quick dynamic search for words while you type, and it does transcriptions that facilite pronunciation; it has hyperlinks between different related words, and it can provide you with the history of the last 50 words you have looked up. The price is quite steep at $39.99. While most of the apps here help lawyers and law students, this app specifically helps paralegals prepare for their CLA (Certified Legal Assistant) exam. Paralegals can learn 500 commonly used legal definitions, concepts, and Latin legal terms. 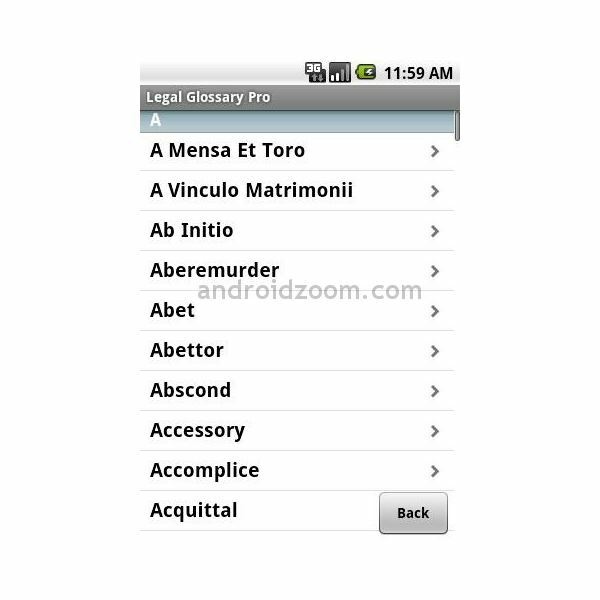 This Android app for paralegals includes multiple-choice quizzes, flashcards, and a legal dictionary. With the quizzes paralegal students can hone-in on their weaknesses and refine their knowledge base. They can send a quiz report card via e-mail, or text message a quiz to a friend. Once the test is complete they even can post the score to obtain a global ranking. This app costs just $2.49. If you are starting to learn about the law, or need to learn about some legal terms, this app contains over 130 major legal terms. Each term offers a detailed description, and is written for all levels of legal understanding from novice to professional. Individuals can utilize and benefit from the extensive legal glossary provided by the developers who have legal knowldege and expertise. This app only costs $0.99. Where would the app world be without an app where you can ask attorneys about legal matters? You can get free answers to your legal questions from Law Guru's worldwide network of attorneys via this app. Paralegals and other users can search the database of over 700,000 legal questions and answers. It also lets private individuals find attorneys in their area, which can help them with their legal problems. Best of all, this app is completely free. As you would expect with anything dealing with the law, information is not cheap. It may occasionally be free, but you get what you pay for. In that vein, the two best apps here are the ones that cost money. 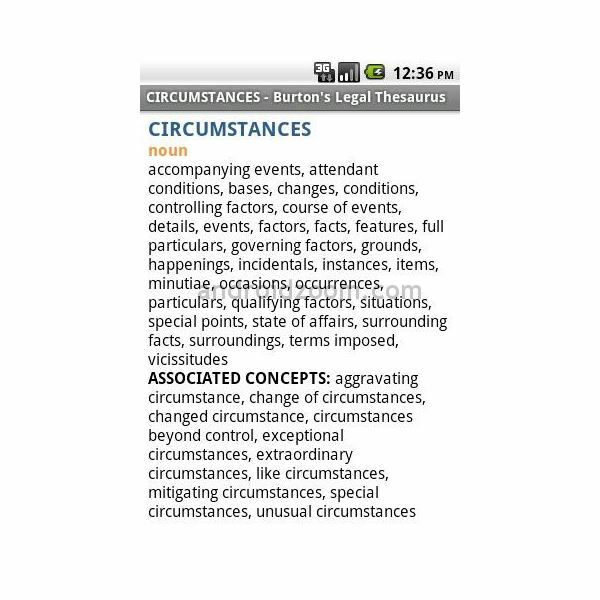 Burton's Legal Thesaurus is a must have Android app for paralegals, lawyers and anyone interested in legal information. Couple that with Droid Law and you have a good combination of apps that will help you with a lot of legal information. Droid Law still needs more basic features to be a better app, but it is going in the right direction. Law Guru can be informative, but it is only a starting point. If you need legal advice you will need a lawyer, not an app. Paralegal Guide and Prep is worthwhile for preparing for a certification exam. After that, you'll need other legal apps. Drugs and the Law and Legal Glossary pro are good starting point apps for quick information. And remember, Android is not the only system where legal apps are found; there are legal apps for the iPhone, which attorneys can also access.